The vast majority of crimes, break-ins and burglaries of businesses occur after hours. You cannot always be at your business, but you can take steps to protect your property, employees and business while you are away. A professional commercial security system with alarm response will keep your business and its most valuable assets safe whether you are on premise, have gone home for the night or are taking a much needed vacation from the office. Complete commercial security systems can include lots of features that work together to keep your business safe from all sorts of threats, such as burglaries and natural disasters. A simple commercial security system, however, featuring a basic alarm response system works in three ways to effectively safeguard your business from potential intruders. An alarm response system includes visual warnings to alert would-be criminals to the presence of your security system. Often these visual warnings are enough to deter burglars from targeting your business. When individuals who would otherwise burglarize your property see posted warnings and physical signs of an alarm system, they will cancel plans to break into your business and leave in search of an easier target. If burglars miss the visual warnings and proceed with a break in anyway, an alarm response system will sound a loud audible alarm. These noisy alarms draw attention to the scene of the crime, and burglars will often flee the property before they can take any valuables or do any further damage. 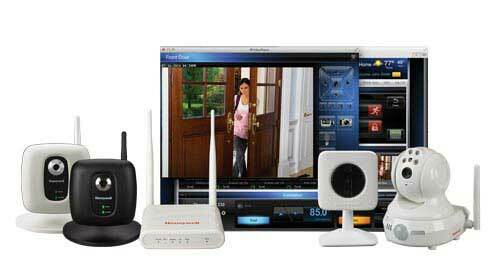 In addition to on-scene burglary deterrents, an alarm response system can also be set up to notify you remotely of any triggered alarms. So, you will always be aware of any problems, when you receive a phone call or text message as soon as an alarm is triggered on your business property. In addition to these three major ways alarm response systems safeguard your business, with professional security monitoring, an experienced security response team will always be on guard, ready to notify the proper authorities (police or fire department) in the event an alarm sounds at your business. To learn more about how alarm response systems and additional security features like dedicated security support professionals, CCTV, flood monitoring, fire protection, night and day monitoring and more can help you safeguard your business, employee safety and peace of mind, we welcome you to contact Arpel Security Systems to speak with an experienced commercial security expert today.